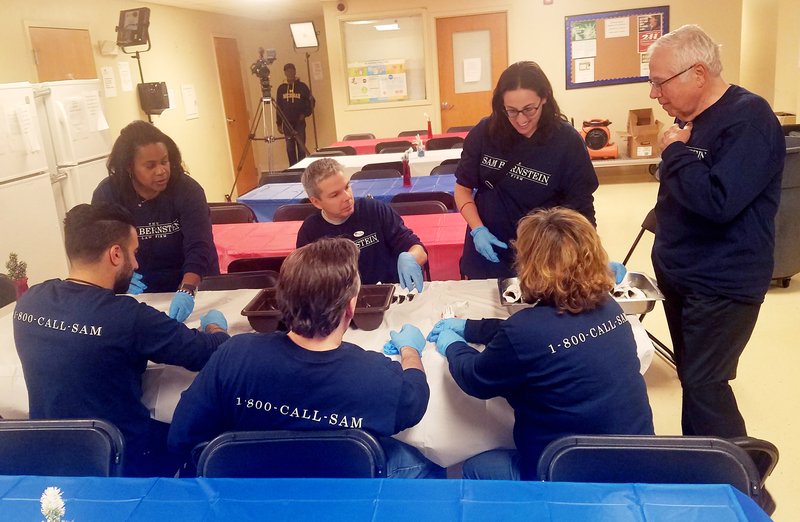 The Sam Bernstein Law Firm is proud to partner with Volunteers of America Michigan to help end veteran homelessness. 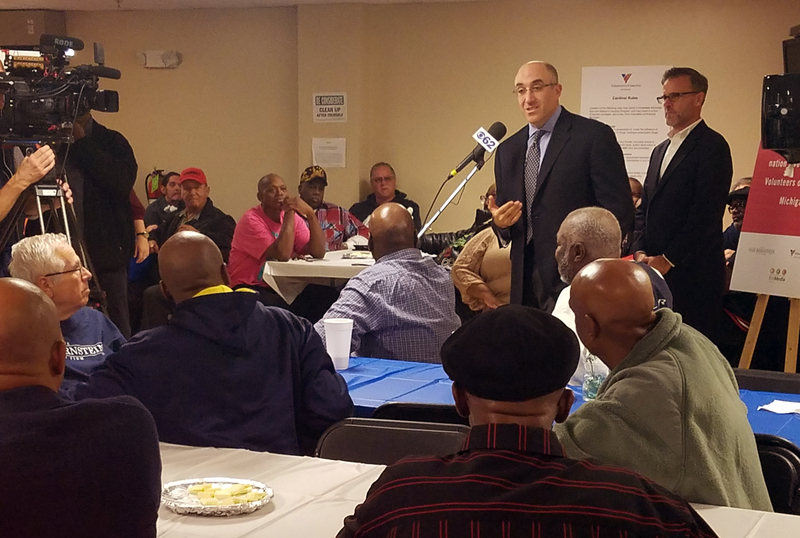 Together, we’re repairing veteran housing facilities and providing essential items to help homeless veterans. 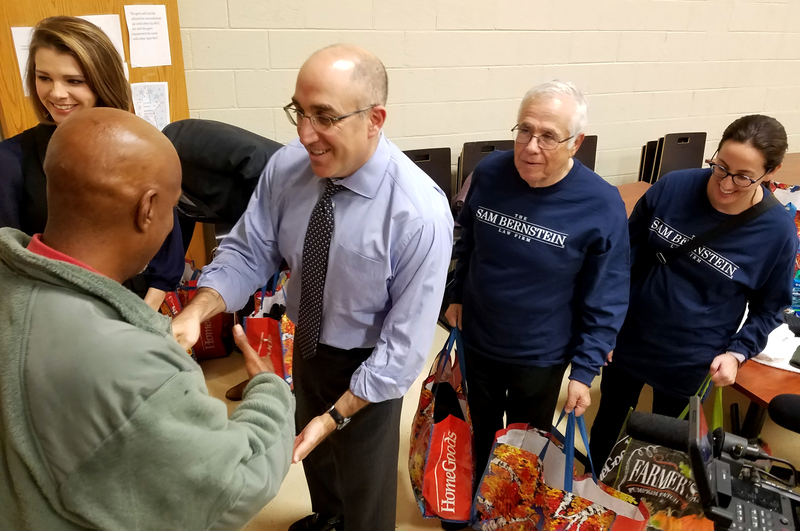 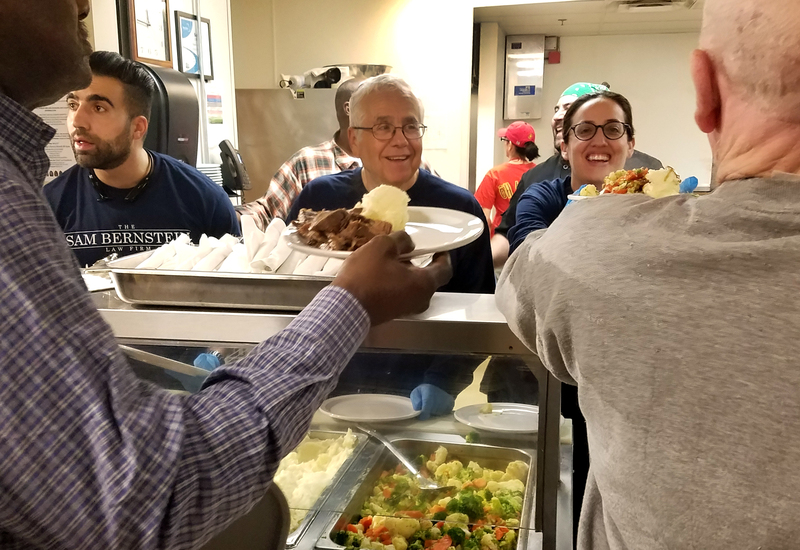 Sam, Mark and Beth Bernstein came together with staff from the firm to serve lunch to the veterans and distribute care packages.